The first half of the summer was filled with excitement. Hope. Swelling optimism. A presumption of good times just around the corner. Polishing our script, whittling grand ideas into more accessible coherence. KP going out on promising tv show pitches. Another old project of his also maybe being revived. It was exciting. Things were happening. We were high on life and the potential of what could come next. Wait is every bit a part of this life as much as Hope. Wait for networks to buy… or pass… or just remain silent, leaving possibilities open-ended, no conclusion either way. Wait for script notes, for producers/managers/friends/people to get back to you. Wait for the next step. In any direction. In some direction. Something. Anything. Wait to see where our finances will lead us. Wait to see what job opportunities/promotions might become available. Wait to see how to work out family schedules. Waiting, wondering, trying to decide if our family is complete. On another timeline I’d be about to welcome a new addition soon and with the due date approaching I find myself increasingly reflective. I thought that there’d have been another before now. 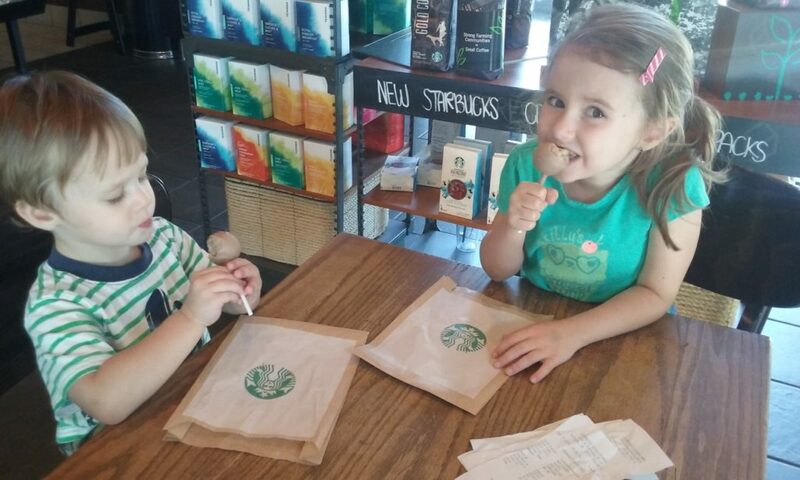 As each month passes, and as my son slowly grows out of the toddler phase without a younger sibling to follow, I can’t help but wonder – what if our family is passing out of this stage of littles? Maybe I should embrace this new direction? But maybe we’re not complete? Maybe more is still to come. I don’t know. But I don’t have the years left in me to wait forever either. But all I can ever do is wait. I read a book earlier this summer called When Breath Becomes Air. 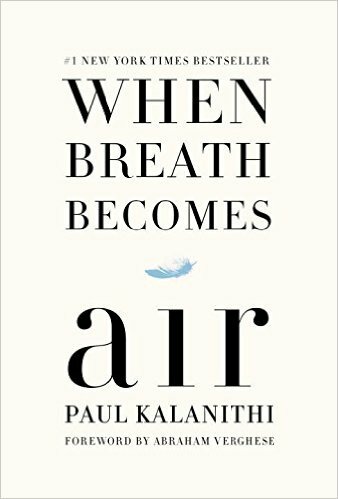 It’s written by a once-promising neurosurgeon who, having been diagnosed with late stage cancer at 36, writes about his life, his passions, and his acceptance of his own nearing death. The book has stayed with me ever since. Heavily. I find myself often wondering how much of my own life I have left, what I’m doing with it, and what (if any) impact I have on the world. It doesn’t help that the script that KP and I have written also deals with similar themes, so all this is on my mind all the time. The fragility of life. The heaviness of our eventual death can only lend itself to one acceptance: the deep appreciation of our current state of being alive. Of having what we have. Of being able to do whatever we can while we can with whatever we’ve been given. There’s a distinct memory in my mind of a particular class I took while in college. A question was posed one day, about media and influence and culture and about which direction impact is truly made. Just as the reflections of the dying neurosurgeon in When Breath Becomes Air have planted themselves in my mind, so have my own personal reflections of that day in class and my attempt to answer that question for myself. I’m not normally a personal mantra type person, but there have been two phrases that have kept close company in my mind this summer. from wherever I am and with whatever I’ve been given. Not surprisingly, these two guiding thoughts have not only wrapped themselves up into the script we’ve recently written – but also into the way I’ve approached my own life the second half of this summer. KP and I are still waiting. For whatever comes next. Aren’t we always? I suppose this is just our life. Several weeks ago, I briefly allowed myself to vent to a friend about the stress of our ever-changing hopeful life. She jokingly remarked that if I’d ever asked for patience, well, that I was surely being given reasons to force me to learn it now. I suppose hope it’s really true and that’s there really is something on the other side I only can’t yet see and this is all just the patience before achieving the goal. Waiting is hard. I admit that I don’t handle the wait gracefully. I don’t enjoy it. I don’t like it. Sometimes I feel like I can’t go on waiting any longer and just want to curl up in a ball and fall asleep and not wake up until something is actually…finally…happening. But I can’t not go on. So I still go on. I don’t know how much time I’ll be lucky enough to be given in life. All I know is that I feel compelled to do whatever I can, with whatever I have… the rest is out of my hands. So I’ve been keeping busy. Probably drinking too much coffee, probably too many cocktails to help my mind shut off so I can fall asleep at night too. Probably not enough exercise, definitely not enough housecleaning. But I just keep going. Doing. Taking advantage of the time I have. Making life work. I love my kids. I love my husband, even though new job promotions have meant later work schedules and fewer times to spend together and I miss him. I’m constantly full of ideas. Now that I’ve been bitten by the writing bug, there’s another script and a book in my head and scratched out in notes that I want to write. I’ve created a new Planner For Those Who Do Too Much and will be selling it from my website soon. I’m still tutoring online in the evenings. I’m hopefully going to be teaching some weekly math classes to homeschoolers in the coming school year. I’ve thought of an idea for a mobile app and have been researching the app creation process. Oh, and on top of it all, I decided to start homeschooling my daughter. We start school next week. I’m keeping busy. Very busy. And still waiting. For whatever comes. But trying not to think about it. Because no matter what happens, even when I feel Iike I can’t go on any longer – I’ll go on. And do the best I can. Because I love them ridiculous amounts. « The Sound of Silence. Blog Silence.